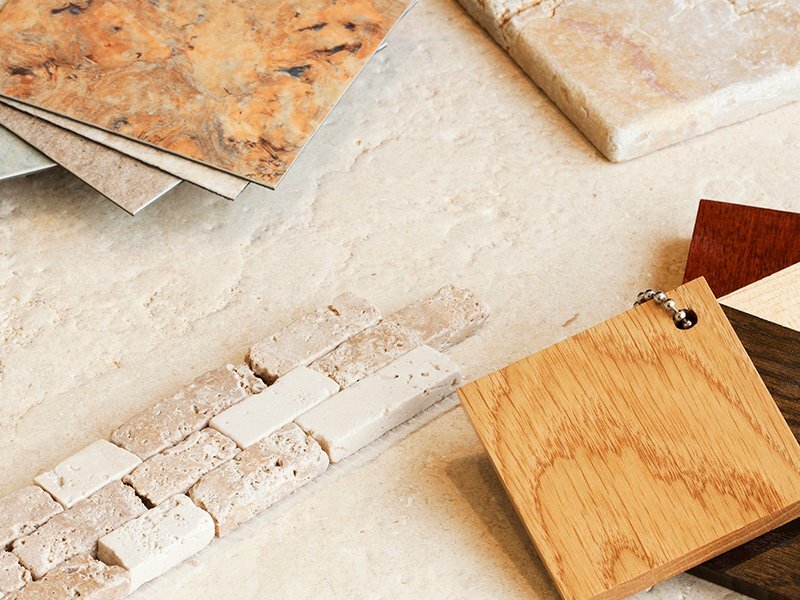 Before the remodel, this bathroom was outdated and had an inefficient layout. 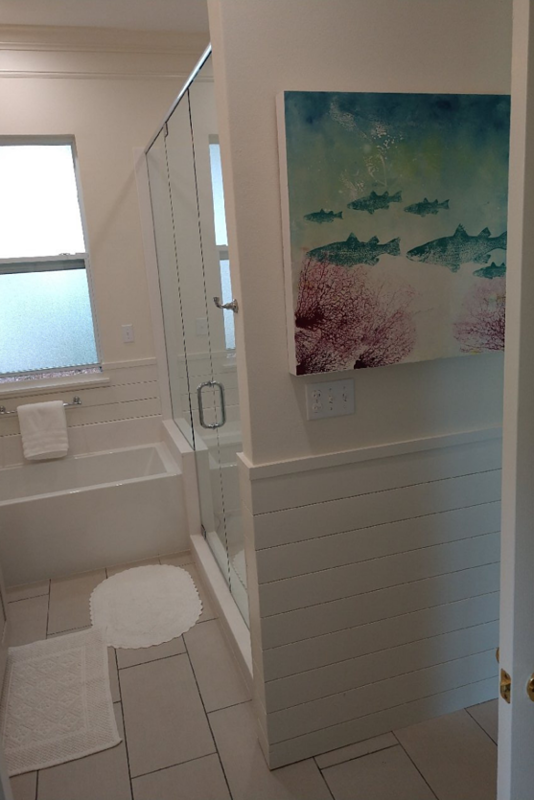 After the remodel, the bathroom is beautiful and has a much more efficient floor plan. 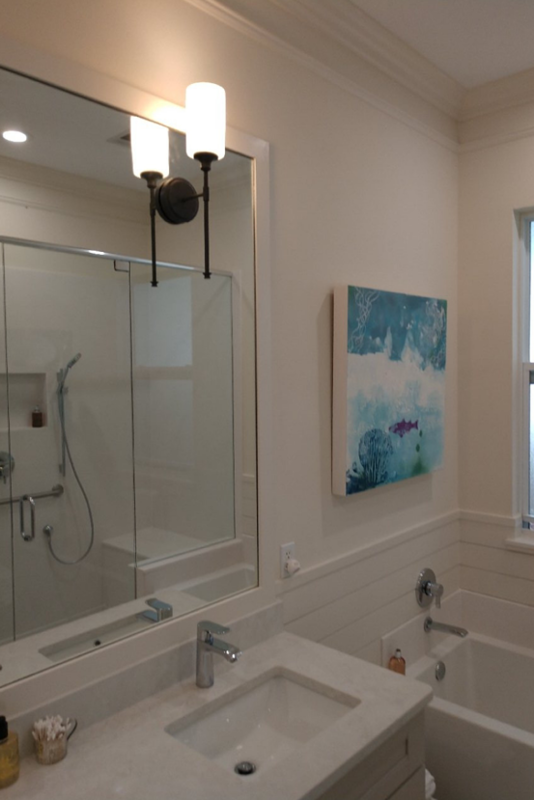 The remodel utilizes white cultured marble shower surrounds and pan with a sturdy bench seat and handy soap/shampoo niche to create a luxurious, spa-like experience. 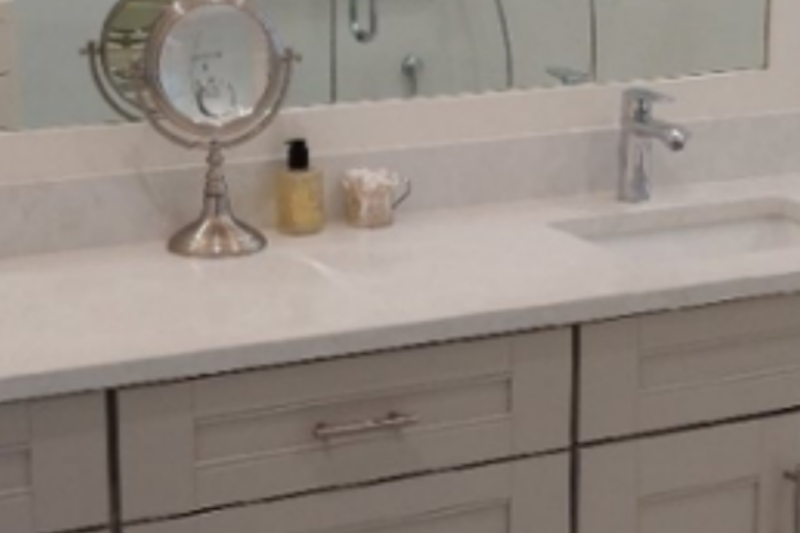 The white updated tub, light grey cabinets, and Marbella White quartz vanity top complete the look of this now beautiful and efficient bathroom. 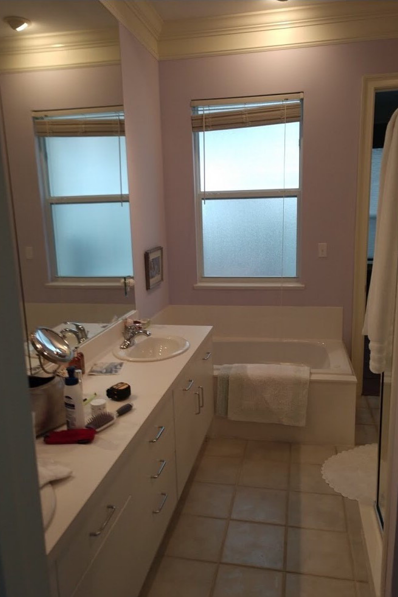 The existing bathroom had a small corner shower, outdated cabinets, counters, hardware, fixtures and tub. The layout was inefficient and did not allow for a larger shower. 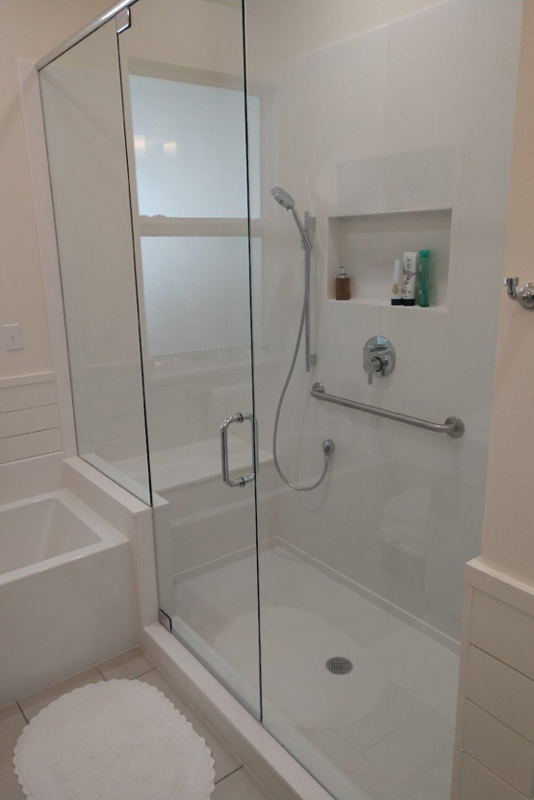 After the remodel, the shower is now located next to the tub and is much larger and easier to use. The bench seat, soap niche, safety bar, and detachable spray nozzle all help to provide the owner with an efficient, roomy, and beautiful shower. 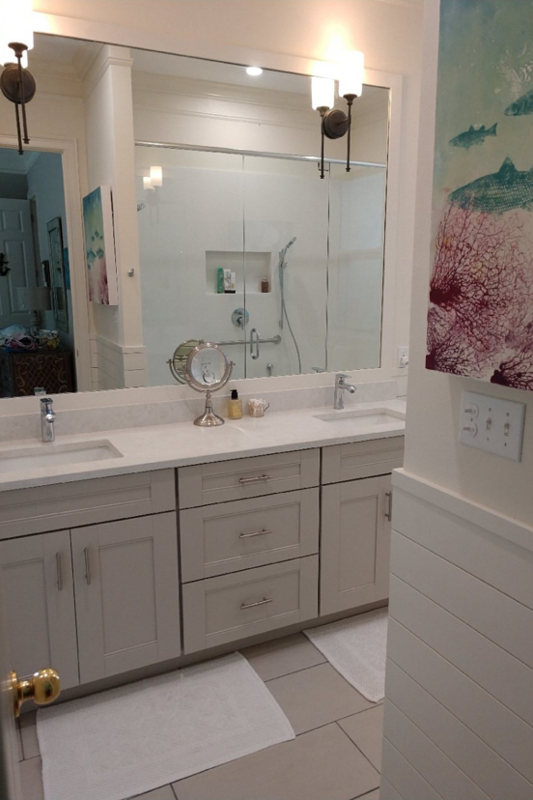 In addition to the new, larger shower, the remodel includes shaker-style cabinets, updated hardware, Marbella White quartz counter top from MSI, updated plumbing fixtures, and a new, modern soaking tub. 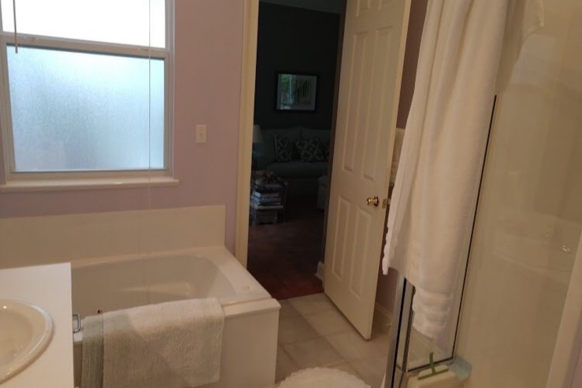 The owner is now enjoying their new, spacious, spa-like bathroom. 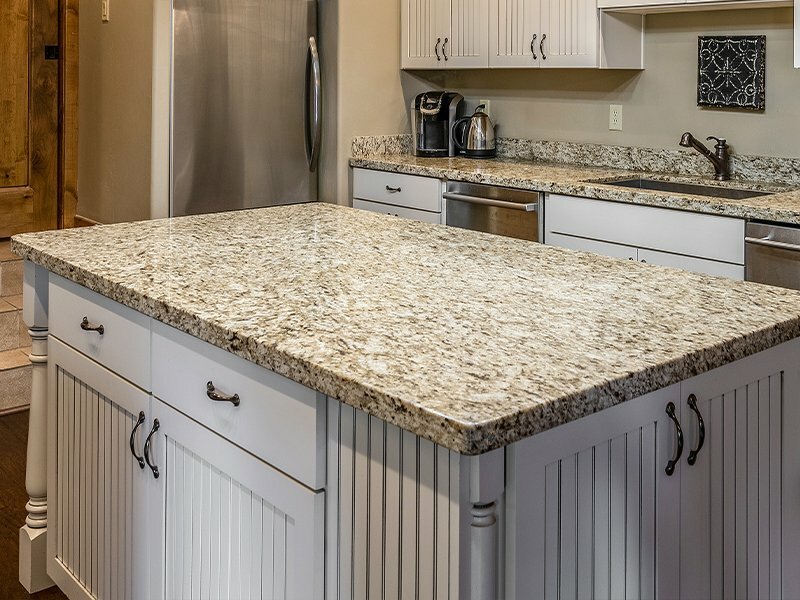 Contact us to begin enjoying your own!